“But first, coffee” is the motto of many people I know. And when one shot of espresso or is not enough (it never really is! 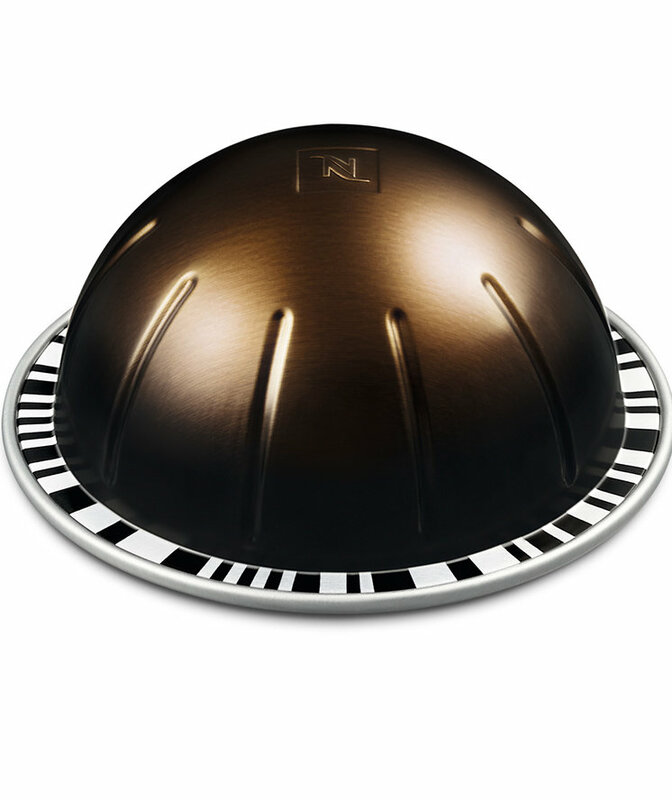 ), Nespresso comes in for the win with two espresso shots in just one single-serve capsule. And, as you would guess, it's strong. The fact that a double shot comes from just one capsule and can reduce waste (no more doubling up for a strong cup of coffee! ), help your stash last longer, and up your caffeine buzz, is pretty great. Mornings just got better, and so did this . The two blends launching to the range are both quite rich. The Double Espresso Chiaro makes itself known, yet remains balanced in taste (it's made with a blend of Central and South American Arabica beans). The Double Espresso Scuro, on the other hand, is bold due to Central American Robusta beans, and mellowed by Arabica beans by bringing cocoa notes to the blend, with notes of citrus and a creamy texture. These new capsules are to be used with the range machine which offers a range of cup sizes, but to be exact, the Double Espresso yields 2.7 oz. versus the 1.35 oz. for a standard espresso. The Vertuo machine also brews sizes 2.7 oz., 5 oz., 8 oz., and 14 oz. Can it get better than that? Yes, it actually can. Popular and trendy gourmet ice cream shop in New York City, Morgenstern’s Finest Ice Cream, is partnering with Nespresso with a double scoop ice cream made with the new Double Espresso Scuro. It’s a short collaboration running from Monday, May 14 through Sunday, May 20. Much like the coffee, the ice cream developed by Nicholas Morgenstern is smooth with a citrus twist. Affogatos and a sundae will also take part in the collab. Vertuo Double Espresso sleeves include ten single-serve coffee capsules for $10.00. The new blends are available at Nespresso Boutiques and on starting on May 7.